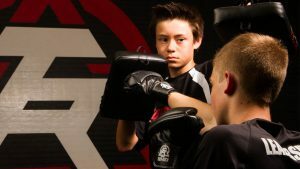 Are you searching for Keller TX Mix Martial Gyms in your area, and you don’t know where to start? If you’re ready to start your journey towards mastering martial arts, you may not know where to go. To make sure you’re getting off to the right start and receiving the guidance you’ll need during this process, make sure you reach out to Tiger-Rock of Keller TX. Our team of professionals is ready to help you develop your Taekwondo skills and live a better life. During 1983, some founders decided to start a business that could help local citizens improve their martial arts skills. Today, we are Tiger-Rock Martial Arts, the most well-known and successful martial arts franchise in all of America. Here at TRMA, you will be assisted by certified instructors who have mastered Korean Taekwondo. It’s important to align yourself with the right people if you ever want to be successful. As long as our team is around, you’ll always have the guidance you need to master Taekwondo. Are you someone who has a lot of problems being physically active? Perhaps you’ve been struggling while playing with your kids, and now you’re not able to enjoy this activity as often as you’d like. Perhaps you’re beginning to feel like getting groceries or walking around the mall is too much for you and you’ve been avoiding this. These are signs that you need to push your muscles and cardiovascular health to new heights. To make this happen, reach out to Tiger-Rock. Our team of trainers is ready to help you. We provide our students with a regimen that includes strikes, kicks, and form exercises. Not only will this help you master Korean Taekwondo, but it will also assist you in making the most out of your body. Our students have reported improvements in strength, speed, stamina, and many other areas of physical fitness. You have to start somewhere, but it’s never too late to start getting better. Visit our dojo if you want to get healthier while learning a valuable skill. While you’re going to want to make sure you develop your physical fitness, it’s important to keep your mind sharp, too. Are you someone who has a lot of problems concentrating when the moment calls for it? Maybe your performance at work or school has been suffering and you don’t know what to do about it. If so, we highly suggest you take a long look at immersing yourself in a martial arts academy. This could be the perfect outlet for you. With our group of professionals behind you, you’ll be able to improve both your body and mind. Did you know that martial arts–specifically Taekwondo– are known for helping students and practitioners become more mentally astute? There are numerous studies and testimonies that back this up, and you can count on our team to help you get the most out of martial arts. 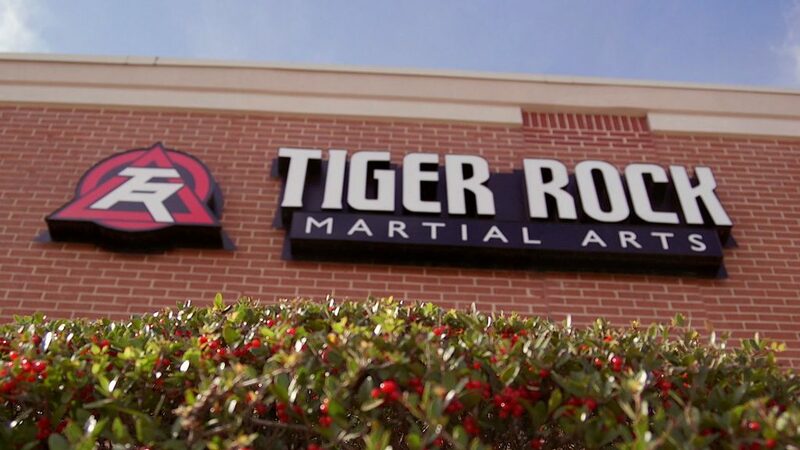 Not all Keller TX Mix Martial Arts Gyms are the same, but Tiger-Rock is one that tends to all aspects of the art. If you’re trying to become a well-rounded, disciplined individual, this is the Keller TX karate dojo for you. People from all walks of life can benefit from the mental fortitude that comes along with Taekwondo training. Are your children having some discipline issues at home as well as at school? Perhaps you’ve got a teenager whose social life is crumbling, and you need to find a healthy outlet for them. These are all things that can be positively affected by martial arts training. Our students and instructors are people just like you. We all go through harsh times, but Taekwondo can help you deal with them in a healthy manner. You’re not only taking advantage of a positive outlet. You’re improving yourself, meeting new people, and having fun all at the same time! If you’re trying to make the most out of this environment, we highly suggest taking advantage of the regular tournaments we have. Are you a competitive spirit, and you enjoy competing against your peers and challenging them? If so, we think you’ll thrive in the healthy competitive atmosphere we have developed. On a yearly basis, you can expect state, regional, and nationwide tournaments and events from us. These give our students a chance to meet other pupils and sharpen their skills against one another. Our Keller TX karate dojo is one of a kind, and we think you’ll agree with us. However, everybody wants to get a sample of a gymnasium or studio before making a commitment. We completely empathize with that, which is why we have developed the introductory course package. This gives you an inside look at what Tiger-Rock is all about. Not only will you be able to enjoy three classes, but you’ll also have access to an official performance evaluation and more! Visit your local dojo to learn more about this opportunity. Call Tiger-Rock today for more information! Finding the right Keller TX Mix Martial Arts Gyms that meets your need doesn’t have to be the scary process that it seems like. If you’re ready to put yourself in an environment that can help you develop your mind, body, and soul, let us know here at Tiger-Rock Martial Arts. Our team of Taekwondo experts is here to assist you during your journey of transformation. Visit or call our dojo today to learn more about what we have to offer! As a part of Tarrant County, Keller is a small town that’s a proud member of the Lone Star State. If you’re interested in small-town living mixed with big-city convenience, this is a great place to live. Keller gives you immediate access to the Dallas-Fort Worth area. You’ll be able to enjoy the quaint environment of our small suburbs while being able to drive into the big city whenever you’d like. Keller continues to progress into a hub for Texas culture. Visit us to learn more about what we have to offer!